I always want to be able to come up and create unique and different nail arts for my readers and subscribers. I know there are so many talented nail artists on YouTube so I always want to be able to come up with new ideas because I want to avoid comparison. I have done a couple of nail arts where I get asked if I copied someone else' design. I think there's nothing wrong with making another version of what they did and I always try to credit the original designer if I truly copied her work. Some of my favorite nail artists are the talented IHaveACupcake and Mimimemeko. But, sometimes, I just can't accept claims when I honestly didn't copy someone else' art. So, today I am recreating what I learned from my elementary school teacher more than a decade ago... PAPER MACHE! What I love about this design is that it is really unique! I used some colorful art papers to put on my nails. You might think that since you will be layering papers, the nails would feel thick and heavy but it's never going to feel that way. My nails felt like the usual texture and nor did it get damaged. Aside from these papers I used, you could also use newspaper, magazine of even tiny stickers. 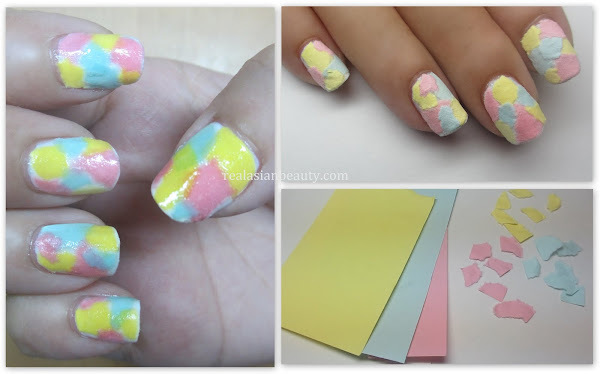 Choose a really cute photo or print out your favorite images and use them on your nails. Your imagination is the limit. Some people commented that the design turned out sloppy and unpretty. 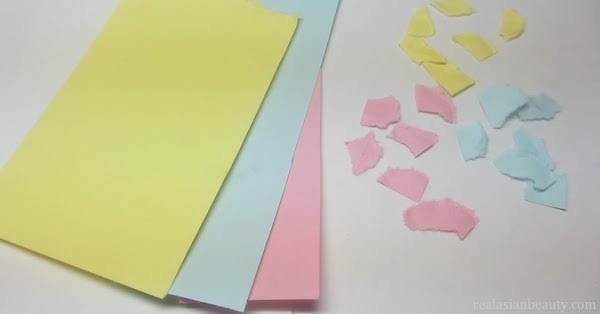 Paper maches usually end up looking sloppy and unclean. And since I filmed this tutorial at night, I wasn't able to get proper lighting when I took the pictures so they turned out looking sloppy than how it really is in real life. It is really pretty and cute, I'm telling you. Also, people won't be able to tell you used paper unless you tell them. 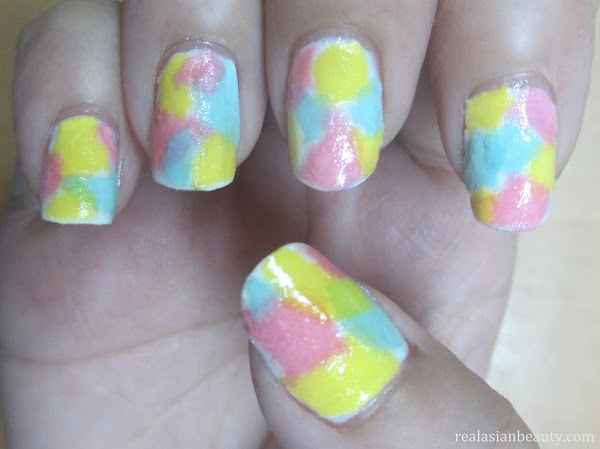 It actually looks like a mosaic of different nail polish colors. Really lovely! Please check out my YouTube channel for more fun videos.